Villa Angela is a charming and luxurious house. 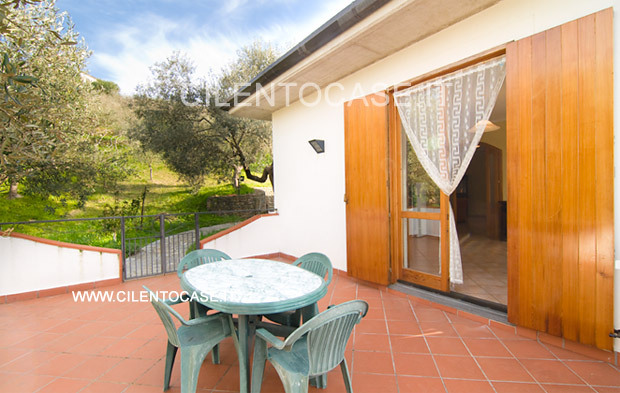 It is located within a huge green private area, facing directly on the famous Coast of Cilento, dominated by the Borgo of Castellabate. It is a few metres from the main facilities as restaurants, tobacconist, chemist and disco. 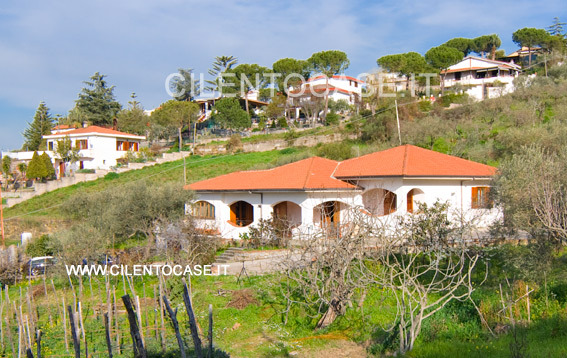 This estate is set in a very quiet spot though it is only 3 km from the sea. You may spend your holiday deeped in a complete relax in the slpendid natural surroundings. The Villa has got high quality and refined details both inside and outside: rose garden, rich fruit trees (fig, apricoat and vineyards), terraces and porticos furnished with tables and chair to enjoy the landscape. 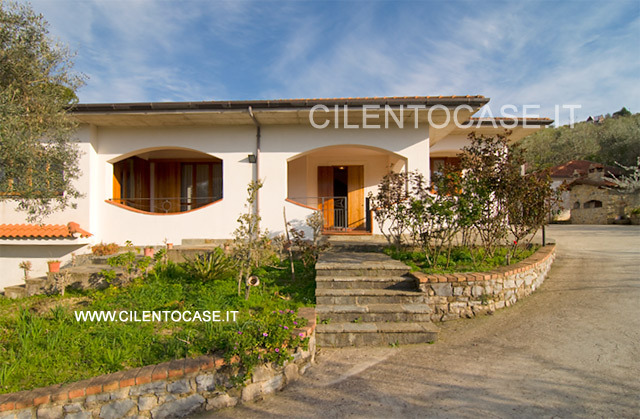 This typical "Villa Cilentana" stretches along one floor of about 120 square metres. 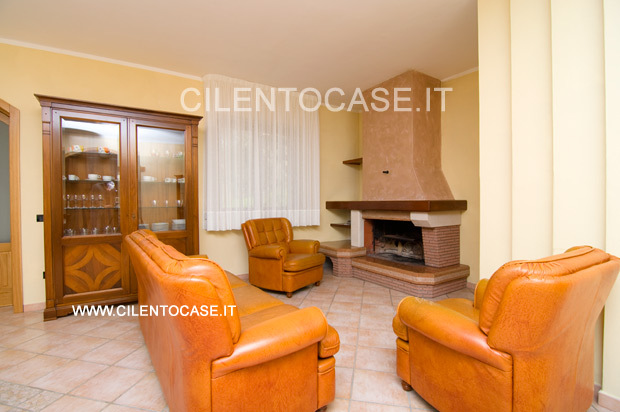 From the large portico in front of the hall you will enter the big living room whit sofas and a characteristic fireplace. From this living room, heart of the accomodation, you will reach the kitchen, the bedrooms and the bathrooms. The huge dining room is enlightened by two big windows whit an enchanting view of the coast. 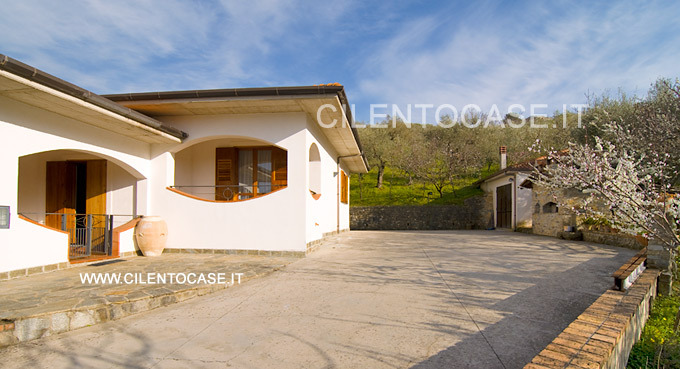 At your disposal there is an electric oven, a fridge, a dishwater and a large terrace whit table and chairs. There are three kinds of bedrooms, two master bedrooms and a double room whit a balcony. 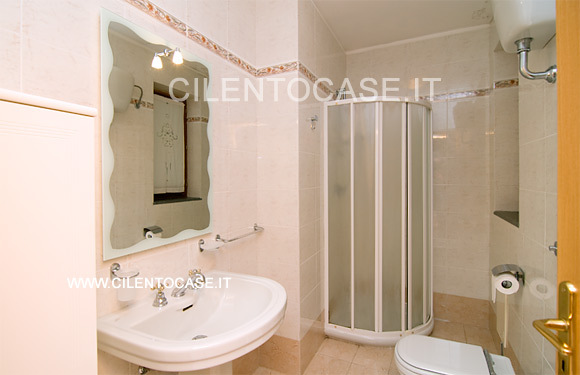 There is a bathroom whit shower and a washing machine and a second bathroom with bath. Outside there is also a parking area and a wood oven at your disposal. 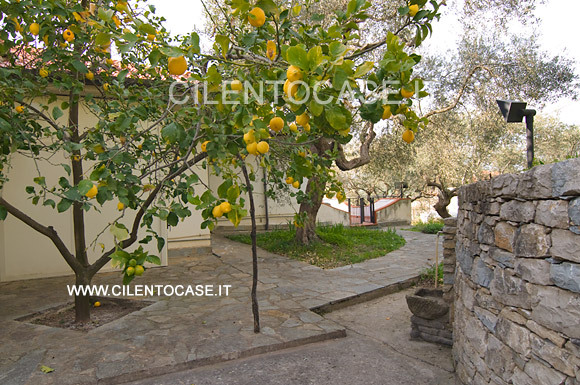 The spot and the beautiful landscape of Cilento will allow you to enjoy a relaxing and charming holiday. Distance from the town centre 400 m.
Distance from the beach 3000 m.
Ceck-in 5 p.m, Ceck-out 11 a.m. The holiday apartments are weekly, from Saturday to Saturday. Final cleaning € 50.oo.